Jesus was saying to His grieving friend, "Martha, listen to Me. Death is not the end! You're acting as though it is over with. It is not over with." And at this point, I think He was speaking of something greater and more profound than the resurrection of Lazarus, which He would accomplish within that very hour. After all, raising Lazarus from the dead — exciting and joyful as that may have been—was only a temporary proposition. Lazarus would just have to die again in a few years. I think the bigger message was this: "Death is not the end. This is temporary. One day I will get rid of death altogether, and whoever believes in Me will live forever." Jesus wept at the death of His friend and at the sorrow of Lazarus's two grieving sisters. But the death of His friend also brought Him anger. John 11:33 tells us, "Therefore, when Jesus saw her weeping, and the Jews who came with her weeping, He groaned in the spirit and was troubled." The Greek word used for troubled here could be translated "angry." Why was Jesus angry? Was He angry with Mary and Martha for not believing? I don't think so. I think Jesus was angry at death itself because this was never God's plan. God's plan was to have us live forever. God's plan was that these bodies would never age or wear out or experience sickness or limitations. So He was angry over that, and He wept. But these weren't tears of frustration. God is never frustrated. Jesus was angry and then did something about it that had been planned from eternity past. 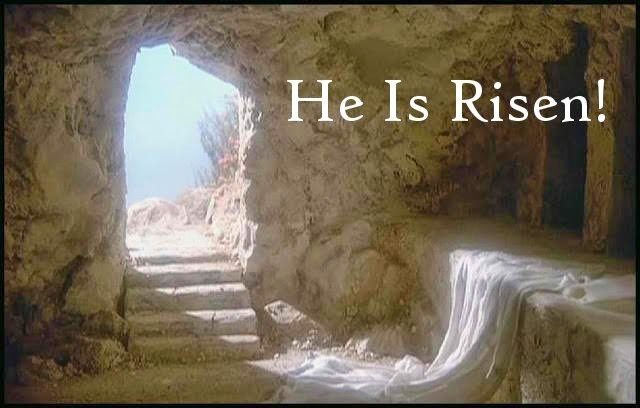 He gave up His life on a Roman cross, dying for the sins of the world, and then He rose again from the dead. The Bible says He has become the "firstfruits" of those who sleep, which means that He went before us. And because He went before us into death and came out victorious on the other side, those of us who now live and will face death someday can be confident and unafraid. Thank you Jesus!! I love this devotional from Pastor Greg and I hope that you enjoy it as well!!! Have a Simply Heavenly day!!! God bless you!! !